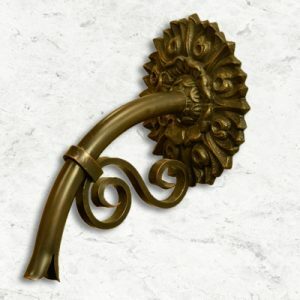 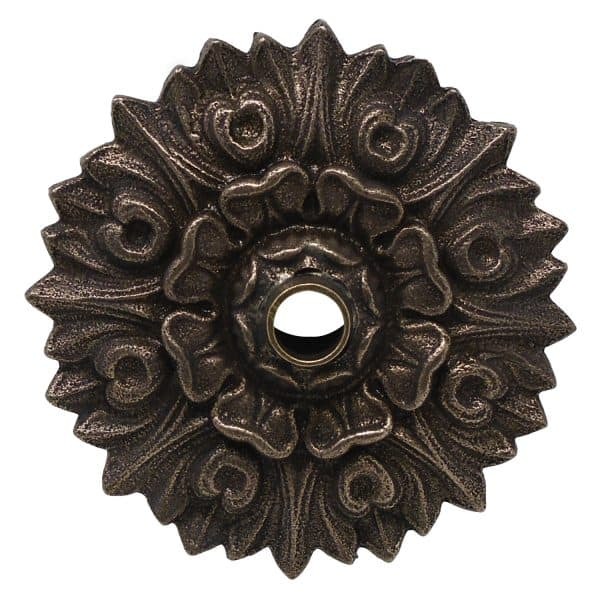 Reminiscent of the gorgeous and serene French gardens, the Versailles Spout is a thinner, larger-sized bronze emitter with copper backplate boasting a traditional floral pattern. It is a perfect emitter for projects that call for water projection dropping into a pool, spa or fountain. 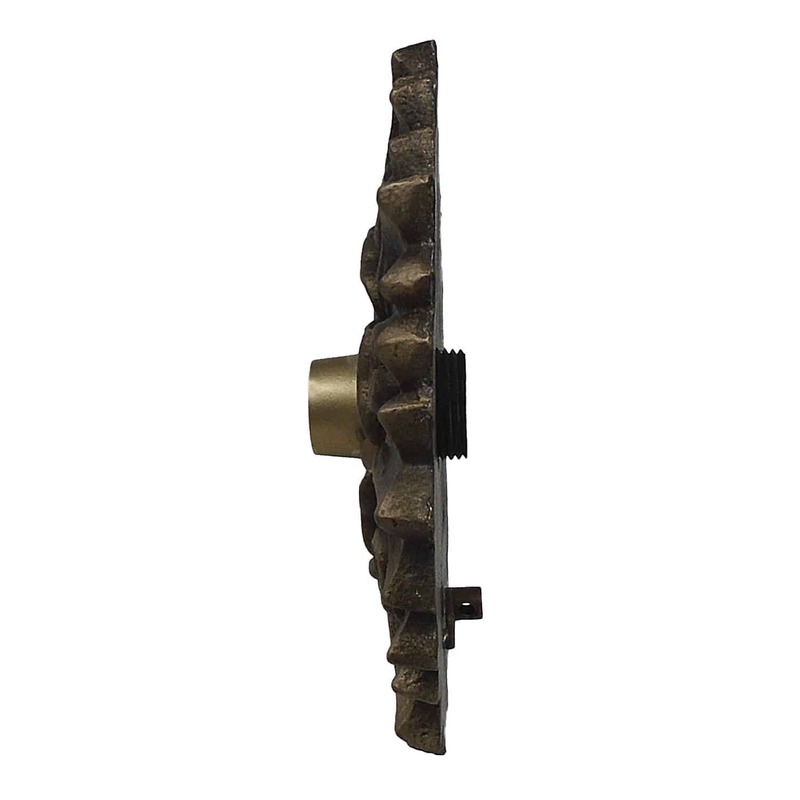 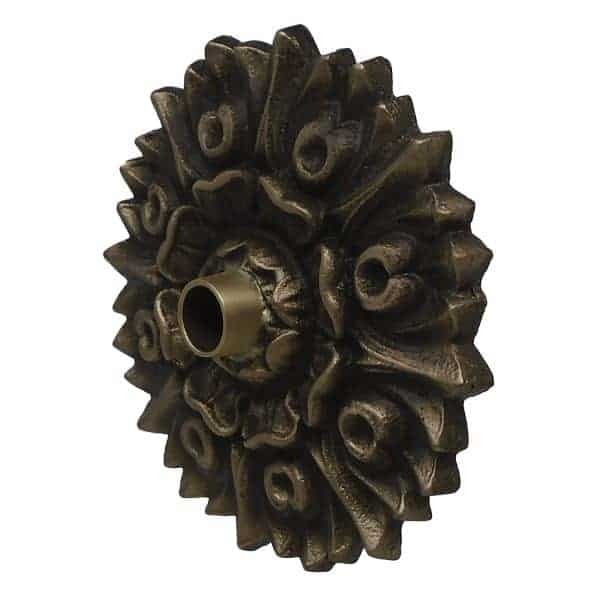 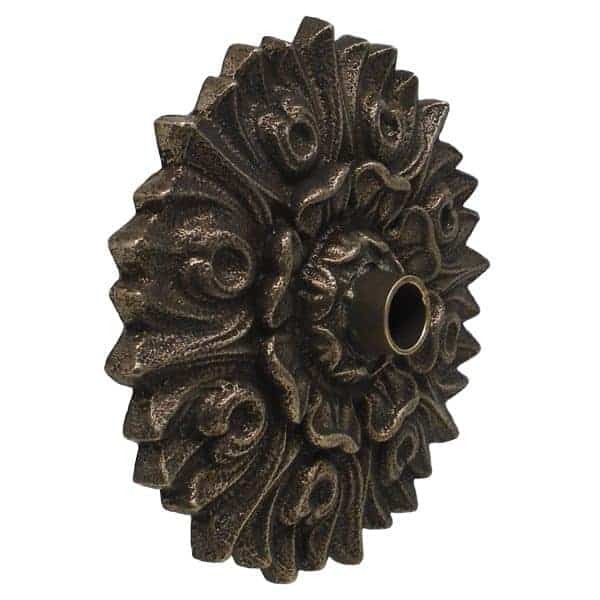 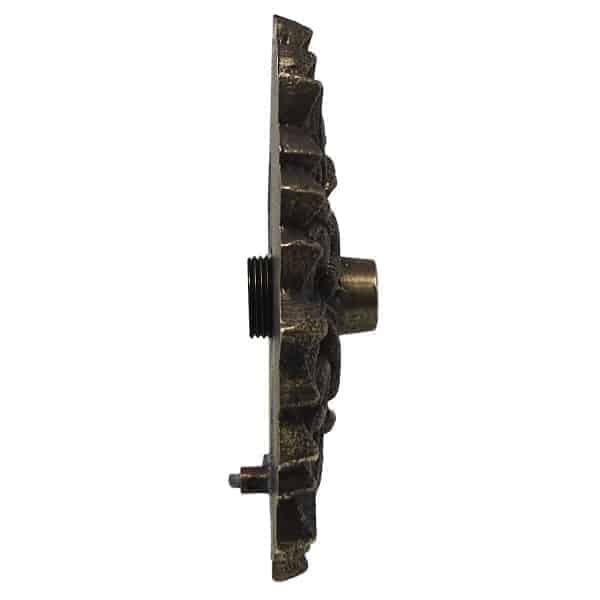 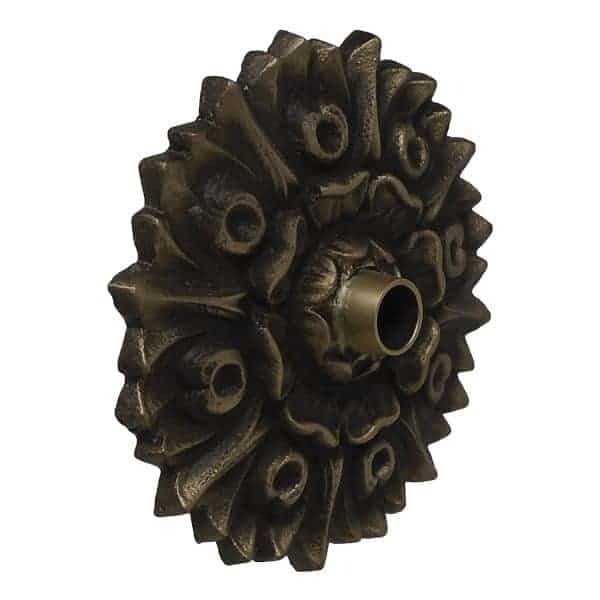 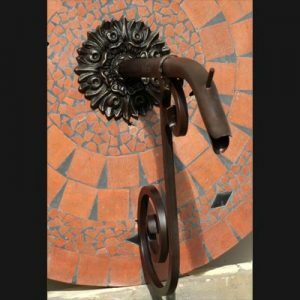 The Versailles offers the appearance of time-weathered cast iron but is crafted from non-rusting bronze and copper. 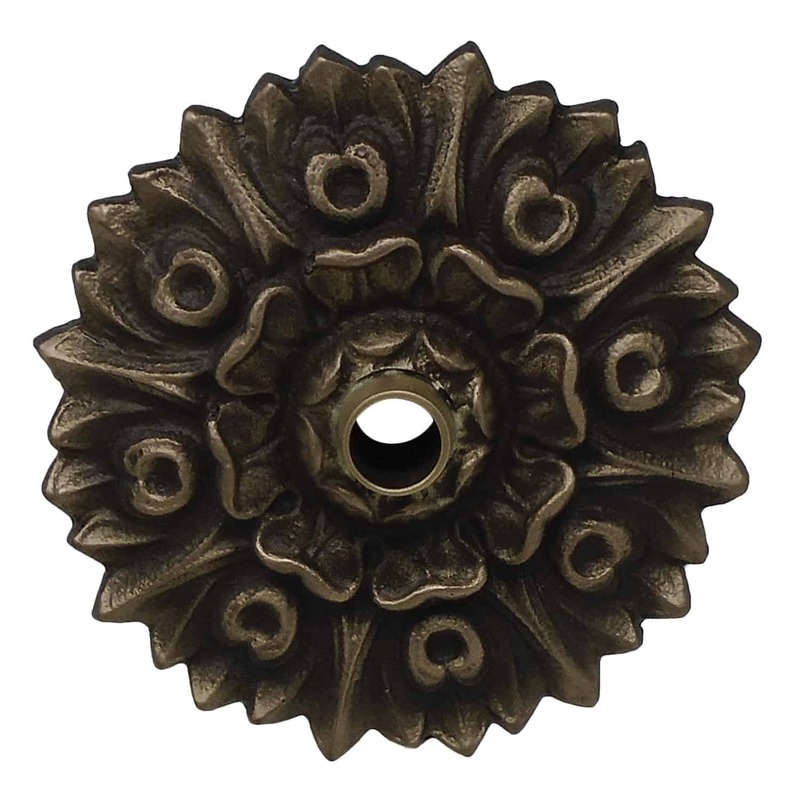 The Versailles is versatile, equally suited for use as a solitary emitter in a mid-sized water feature or repeatedly in a pattern.